In 1975, Kapuscinski traveled throughout Ethiopia and listened to stories about the Supreme Emperor Haile Selassie told by the servants and associates that surrounded him while Ethiopia collapsed around him. 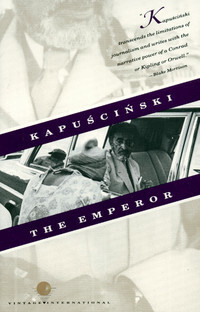 Kapuscinski transformed the interviews into a powerful narrative of the high living and unimaginable abuse within the ancient regime. 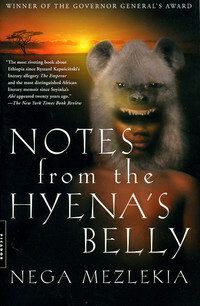 A memoir of childhood in Ethiopia after the downfall of Emperor Haile Selassie. Mezlekia, who was born in Jigiga in 1958, chronicles his early childhood, youthful political activism and conscription into a guerrilla army. 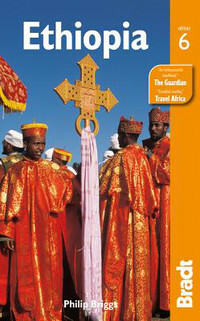 A region-by-region overview of the country with brief introductory chapters on wildlife, culture and history for the traveler. Includes 65 maps and a section of color photographs. A full-color, shaded relief map of Ethiopia at a scale of 1:2,000,000, featuring an inset of central Adis Ababa and an index of place names. A handy phrasebook for Amharic basics. This guide focuses on pronunciation, basic grammar and essential vocabulary for the traveler. 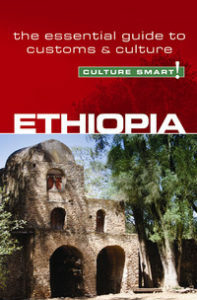 A challenging, in-depth survey of Africa’s oldest nation, ranging from prehistory to 1991; organized chronologically, it features three chapters on the long reign of Haile Sellassie — his rise to power and eventual overthrow. Lalibela in Ethiopia, Mercier’s treatment covers the history, architectural, cultural significance (even the manuscripts and furnishings!) of the historic place. The original, influential account of the thrilling discovery of Lucy in 1974 and the impact of the discovery on ideas about human evolution. A man with a passion for tracking down oddball legends and impossible stories, Shah tackles, in this rollicking account, Ethiopia and the legendary home of the Queen of Sheba. In this powerful debut novel, Mengestu follows the fate and fortunes of Sepha Stephanos, an Ethiopian immigrant who runs a grocery store in a poor black neighborhood in Washington D.C. Winner of the Los Angeles Times Book Award and a New York Times Notable Book. on the eve of the 1974 revolution and follows the heartbreaking story of a family across a ravaged Ethiopia. This is a fully updated edition of the only pocket guide that illustrates and describes all 1,487 bird species of eastern Africa, an area that includes Kenya, Tanzania, Uganda, Ethiopia, Eritrea, Somalia, and Yemen’s Socotra Island. This huge region’s rich birdlife includes some of the most colorful species anywhere on earth–including ostriches, albatrosses, boobies, lovebirds, parrots, parakeets, kingfishers, and bee-eaters. A conveniently compact edition of Kingdon’s celebrated guide, that includes information on distribution, ecology and conservation status, with 480 outstanding color illustrations and maps.